Of course we’ll have vendors galore with DVD’s, shirts, toys and collector’s items; there will be door prizes, giveaways and so much more. That’s 12 hours of fun for only $35.00 a ticket! Each ticket sold comes with a free Hudson Horror Show/Leatherface sticker spoof sticker. Theater #6 is already sold out; get your tickets for the remaining theater now at www.hudsonhorror.com! 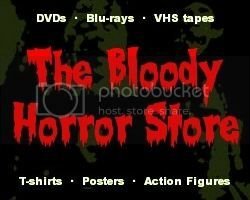 If you have any questions shoot us an email at chris@hudsonhorror.com. 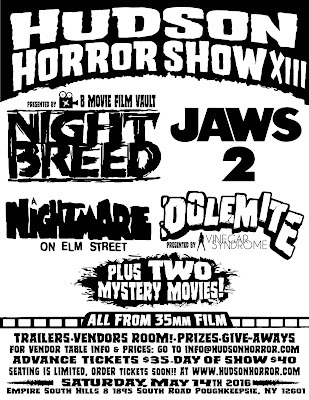 We’ll see you at the South Hills Cinema 8 in Poughkeepsie on May 14th for Hudson Horror Show #13!